The All Blacks ( New Zealand Rugby Team) recently visited kids in hospital with Epilepsy. This was great to see on our 6pm news, especially when it was on Daffodil Day here in New Zealand. Daffodil Day symbolises hope for 1 in 3 New Zealanders affected by Cancer. Of course my heart goes out to anyone affected by Cancer, but it does receive alot of attention compared to Epilepsy. Sometimes here in NZ it seems like the world revolves around the All Blacks…..or at least the media see it that way. So to have them visiting Kids with Epilepsy was very pleasing. Well, it’s been a while since I have posted. I guess the days just continue to fly by. My days are all pretty much the same. Nothing that exciting. My Epilepsy hasn’t been to bad lately, but perhaps it was better 12 – 18 months ago. It’s probably 12 months ago that I stopped taking Topriamate. I had 5 turns/ seizures during May and 6 in April. I’m still going to stick to my Magnesium. Who knows whether it’s having any sort of effect. There is no stand out effect at this stage. Magnesium is good for you, so………why not. Remember I had talked about our Epilepsy Family Fun Day ? Well that never happened 😦 A couple of the people on our board had health issues at the time, so I think that made some of the organisation difficult.But the biggest thing that continues to be the issue is people. Where are people with Epilepsy ? Most seem to be to shy. Maybe that is understandable, but I don’t feel that way. As I always say, of course I would lose my Epilepsy tomorrow if I could. Who wouldn’t !! But, it’s really exciting to think I could be involved in getting Epilepsy to a better place than it currently is. It’s been really rainy here in the last week or so. I have had to endure the rain when getting the kids to school and kindy a few times. No one likes walking in wet shoes and clothes. I wore my gumboots this morning !!! A bit heavier, but certainly drier. Just one more week to go of this school term !! Isn’t it scary to think we are half way through the year !! Well, I guess I don’t really have much more to say…..sorry. None of that was really that exciting was it. When we live with Epilepsy, we have to be positive. Sometimes it may be hard, but remember that things could be worse. Think of all the good things in your life. Stay active. Don’t think you can’t do it because of Epilepsy. 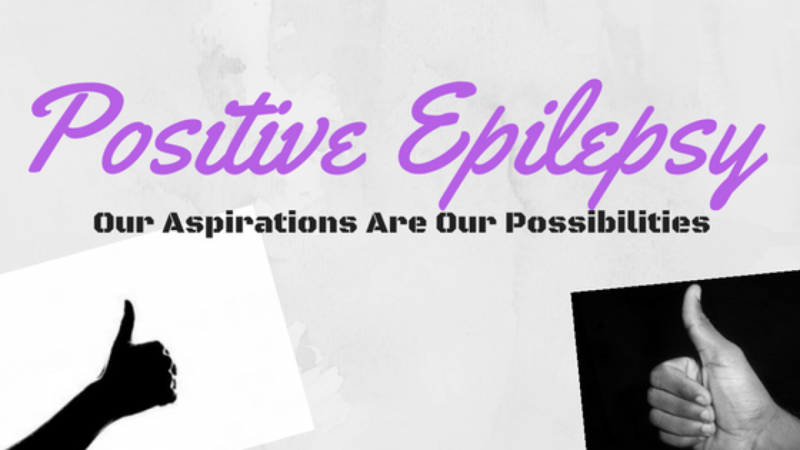 Epilepsy can be your motivation. Remember….Our Aspirations Are Our Possibilities !!!!! As I have said many times, it’s important everyone with Epilepsy realizes they are not the only ones .They are not alone.There are others out there, so there is no need to feel embarrassed, or like a “weirdo”. Have you ever heard of Magnesium as a treatment for Epilepsy ? Doing a google search, I see that there are a few articles / bit of info about Magnesium and Epilepsy. One would have to have a chat with the doctor first before they jumped in boots and all. 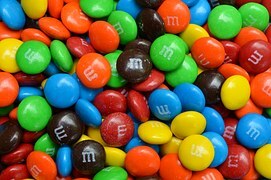 But if you were to eat a few foods high in Magnesium, I don’t really see the harm. There is a difference between what we are eating and the medication we are taking. Our eating is a way to keep it all natural. Understanding Epilepsy – Talk , Don’t Be Shy !! I’ll say it again. There is a need for a better understanding of Epilepsy. It’s not really that hard. It’s like alot of things. As we know, the public really lack understanding. Everyone is different , just like our personalities. Imagine a world where everyone is the same. Maybe that will happen one day. Not quite everyone… but a few. All the talk of things Genetic’s. Imagine picking what sort of child you wanted to have. That’s sick !! If you were able to pick what colored eyes and hair your child was to have… If we get to that stage, we would have seriously lost the plot. So, why do Seizures arrive ? Do they come when you are in certain situations ? When your tired or stressed ? These types of things create brain activity. I keep a diary of my seizures or “turns”. I can often feel when they are coming.Can you predict when they are going to happen ? I wonder whether predicting them and telling my wife about it stops them from arriving. I always ask Alie ( wife ) what happened. I sometimes feel like I’m trying to gain attention…well, I sometimes think that is what she may be thinking. But, it’s all for my diary. That info is handy when you go and see the Doctor or Neurologist. I’m super excited been involved in the NZ Epilepsy Foundation. I also run a Facebook page for my area. We may soon get some names of people who have Epilepsy. 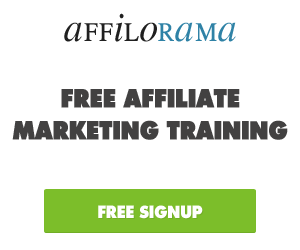 This will help us get a bigger group together. I’m very glad Hayden ( son ) really understands Epilepsy. He’ll be 7 in May. A couple of days ago we were walking home from school and and he kept asking me if I was ok. This was because I was repeating what I had said. I was fine. We’ll have to get Claudia to that level of understanding in the next few years . She’ll be at school next year. I love to Exercise. I have never driven so I walk a few KM’s every day.I’ll be going for an hours walk tonight. It’s time-out with music in my ears. It helps with Self-Esteem as well. I have looked to getting involved in some social /activity groups. This is where a license would be handy. I use the bus service, but I have to consider where these meetings are and whether a bus is going there. It’s not the best idea to be relying on public transport late in the evening.But, life goes on. This was a fairly random post about a few things wasn’t it. It was just a time to get a few things off my chest. Have a good weekend !!! Have you or someone you know with Epilepsy had trouble with Employment ? Maybe employers feel that your performance won’t be up to the same level as others. Maybe they fear you are dangerous or perhaps you won’t be able to deal with the public. We all have our place in society. The public very much lack knowledge of Epilepsy. It gets no time in the media. Sometimes it feels like some health issues such as Cancer receive far too much. My heart goes out to anyone with any health problems. There shouldn’t be to much difference between a employee with Epilepsy and one without. Personally , I think my 20 years with Epilepsy has perhaps made me more determined. How often is one effected by their Epilepsy ? How often and how severe are their seizures ? Currently I have been Epilepsy free for 2 weeks. So, 99 % of the time I am fine. I have been a Stay At Home Parent over the last 7 years and we have never had any problems. If you find an employer that is understanding of your Epilesy and how it works , then all systems should be GO !! If you have the qualification’s , you should be looked at the same as the next candidate. One of the best things you can have on your C.V is a good attitude. Do you have it ? My daughter will start school at the beginning of next year. I may look to some more tertiary study , but my aspirations lie in home business. Hindsight would have been handy all those years ago when I went through Tertiary Studies. We always thought my Epilepsy would go away with time. If I had known it would still be around after all these years , I may have studied something different. I studied Landscape Design. There can be some physical work involved there and a drivers license would be needed. My interests are very much in front of a computer these days. I have gotten to know Roxanne because we have something in common, which is Epilepsy. She is very active online when it comes to Epilepsy and this very much benefits others. People like Roxanne is just what Epilepsy needs. Take a look at her blog – “SEIZE”URE THE DAY! I didn’t consider myself an EPILEPSY ADVOCATE until after I had an unexpected seizure while I was driving. I had been seizure free for seven years. The drug store that filled my prescription switched the company that manufactured the generic medicine I took because it was cheaper for them. After taking that different generic medicine one day, I had that car wreck. My seizure wasn’t like my usual stare for thirty seconds. This time I stiffened up, fought my daughter while she tried to take over the steering wheel and pull the emergency brake, and my foot stayed on the gas pedal. I don’t remember anything. I don’t remember hitting multiple mailboxes, swerving side to side on the road, and then hitting a tree. Thank goodness the tree went in between me and my daughter. I didn’t come out of my seizure until someone was pecking on my car door window. Then I noticed someone else carrying my daughter from the car to lie her down on the ground. My other daughter in the back seat was little and had to be in a car seat. Thank goodness she was restrained and didn’t have any cuts or bruises. 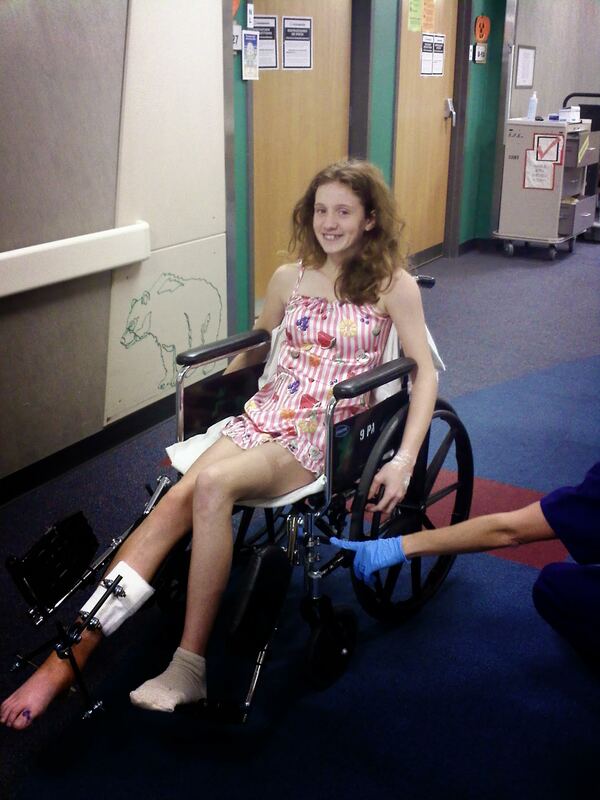 My oldest daughter’s ankle was shattered! She has had five surgeries in the past 6 years. Finally her ankle had to be fused with titanium. I’m not blamed for the wreck, every time someone asks what happened to her ankle she just says “I was in a car wreck”. Never once have I heard her say that I did that. While she was out of school, I wrote my Congressman and fought my insurance company about taking generic epilepsy medicine. I WON! Brand name medicine is what the doctor orders for me now. I don’t drive though. I found a way to deal with that. Since I can’t make it to epilepsy group meetings because I don’t drive anymore, I can talk to people on line. Meeting people from everywhere! Something I am doing now that I never thought I would do, WRITE. I used to work in the medical field and would talk to patients about epilepsy. Now that I am not working, it’s amazing at how many more people I have talked to. Spreading EPILEPSY AWARENESS is what I do now. What is that you may be thinking ..
FACS can occur when anti-convulant Medication is taken during pregnancy. 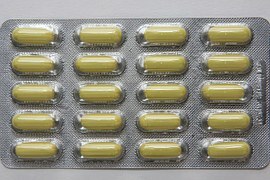 The medication crosses the Placenta and through to the developing Fetus. FACS can be diagnosed by a specialist when a mother to be is taking Anti – Epilepsy Medication during pregnancy. I have seen many questions about Medication and Epilepsy. It was interesting to hear this information. I have always thought the possibilities of these type of problems due to Epilepsy were pretty small. As I said, not all woman taking this type of medication will be affected, but sounds like they are a possibility. I have often though that it wasn’t anything to worry about. I did think about this sort of thing when becoming a father. I was glad we didn’t have any problems getting pregnant. We have 2 healthy children. People can be on these drugs for types for Medical issues other than Epilepsy, such as Mental Health. We’ve got some Exciting Epilepsy things coming up in November. In a few days here in my home town, we have The Brain Train. 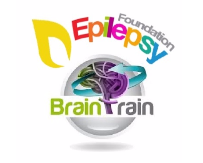 The Brain Train is an event to really learn the facts, ins and outs of Epilepsy. We have some exciting speakers coming like my past Neurologist . People will really be able to have their questions answered by simply putting their hand in the air. People really do need to learn the facts. There isn’t enough public knowledge of Epilepsy. It’s also an opportunity for people with Epilepsy to realise that they are not alone. So, next……Our Car Boot Sale !! The New Zealand Epilepsy Foundation Support Group – Waikato .This is our group/board here in my home town. 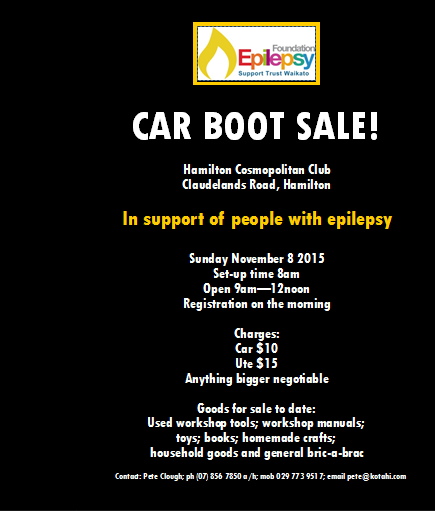 On the 8th of November we are having a Car Boot Sale. So, bring your Car or Ute along, pay a small fee and see if someone else is interested in a few things you no longer require. We’ll have the BBQ going, so it should be a productive morning. It’s exciting for us to get these events going. As we all know, actions speak louder than words. I am also taking part in a November Epilepsy Blog Relay . Every day in November, someone will put forward a blog post around the subject of Epilepsy. There are a few subject within the subject of Epilepsy. My post will be about Genetics. Is someones Epilepsy Genetic ? Or are they the only one in their family with Epilepsy. I know for myself I’m the only one with Epilepsy. I’m also the only one in my family not wearing glasses. You never know what your gonna get. It’s fantastic to be involved in all 3 of these activities. I love the feeling of being involved, working with others, making a contribution. Together everyone achieves more. Yes, that’s right, no more Topiramate. Tomorrow is my last day of Topiramate. I’ll then just be taking Levetiracetam and Lamotrigine. I have been in the process of cutting down to 2 drugs since my visit to the Neurologist in mid July. Each month I took 25 less. I was at 50 mg twice a day. So, will this make a difference ? Who knows. I haven’t really been the best lately. At the end of last week, I had turns 4 days in a row. But it’s all emotional. What I mean by that is that most of the time I know why my turn happened, what brought it on. If we look at the year so far, I was better in the first half. Here is my number of turns month by month. So, has the small increase got anything to do with medication ? I don’t think so. We’ll have to wait and see. I’m still keen on seeing a Hypnotist. I did speak to one a while ago. He said they weren’t allowed to see the likes of myself, that they could be held accountable for anything that happens. There is a Hypnotist that advertising that she can relieve stress, confidence…. all types of emotional stuff. I’ll think I’ll give her a call sometime. Let’s see if no Topriamate makes a difference. I’ve been on it for a very long time !! Yes, it’s that time again !! What time ? This week is the last week of the 3rd school term. So, here comes 2 weeks Holiday for our boy, and a week or so away from School for my wife ( she’s a teacher ) . Our girl normally just has one week off Kindy when the School Holidays are with us, but these holidays she’ll have both off. 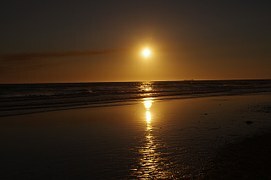 So, as we do in alot of holidays, we’ll go to Gisborne and stay with my in-laws for a few nights. Might say with my parents at their beach house on the way home as well. Family is very important, and it’s fantastic for Grandparents and Great-Grandparents to spend time with the kids. My parents are lucky in that respect. They are only 15-20 minutes away and we see them at least once a week. I always look forward to the school holidays because it means I’m not at home alone with the kids. I’m lucky in the respect that my wife is a teacher and she gets that week or so away. But please don’t say to me that teachers get alot of time off work though. 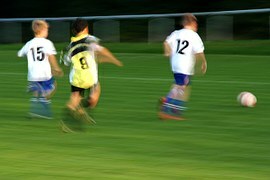 They put in big hours during the school term and time at school is required during the holidays. It’s not a 9 am-3 pm job as many think it is. My Epilepsy hasn’t been to bad lately, maybe slightly on the improve. So far this month I have had 3 turns. ( Complex Partial Seizures ) . Lets hope I can get to the end of the month without anymore. I’m currently in the process of ending taking Topiramate. They will be completely gone on the 20th of October. That will leave me on Lamotrigine & Levetiracetam. Our daylight savings start this weekend . Bring on the summer. It’s slowly getting that tiny bit warmer. As I write it’s raining…. I’ll get wet when a go and get my daughter from Kindy in a wee while. Summer seems to get later and later every year. Time certainly does fly. It seems like just yesterday it was last Christmas. Before you know it, it will be Christmas once again. There are good and bad parts to this. I do look forward to my daughter turning 5. ( Dec 2016 ) Alot of parents find this upsetting. Maybe I will when it actually happens. I have never been able to drive, so most of my days are at home, just the kids and I. A friend of ours, who’s son just turned 12 , said that it is frightening that his son is now 12. In a few more years, say 6, his son may be off on his own path. I fully understand where he is coming from. I also think of our parents getting older, like we all do. We can’t be here forever.